Nothing best can make up an awesome American Muscle car battle than putting a Ford Shelby and Chevrolet Corvette on a head to head race. 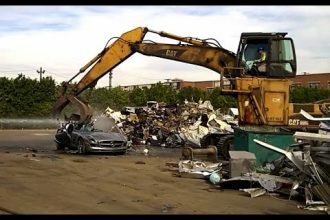 In this video, you are about to witness an epic battle between three muscle cars including the 2007 Shelby GT500 and a pair of Chevy Corvette (one is running at 580 whp and the other one with 600whp). They went on 40, 50 and 60 Roll race. Surprisingly, the Shelby GT500 was overpowered by the Camera car (the BK34 C6 Z06 Corvette) in two different races (the 60 and 40 rolls respectively). The Camera car, on the other hand was outranked by the other Corvette on 40 and 50 roll race. Check all these muscle cars in action below! 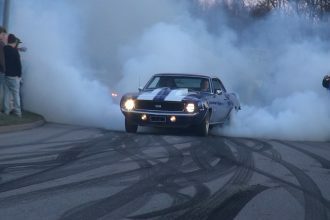 1969 Chevrolet Camaro SS Doing Insane Burnout And Powerslide!